Home / Jewlicious / Matisyahu’s New Awesome Miraculous Chanukah Video! 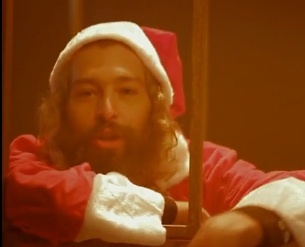 Matisyahu’s New Awesome Miraculous Chanukah Video! Thereâ€™s so many Christmas songs out there, I wanted to give the Jewish kids something to be proud of. Weâ€™ve got Adam Sandlerâ€™s song which is hilarious but I wanted to try to get across some of the depth and spirituality inherent in the holidayâ€”in a fun, celebratory song. My boy Kojak was in town so at the last minute we went into the studio in the spirit of miracles and underdogs and this is what we came up with. Happy Hannukah! !